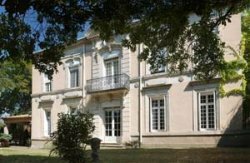 The Domaine du Puits es Pratx, with a Napoleon 3rd Chateau, 5 luxury B&B bedrooms, family restaurant & five self-catering cottages, is situated in the Languedoc, South of France. It is within the beautiful wine-growing region of the Minervois, between the stunning slopes of the Montagne Noire & the Mediterranean Sea. 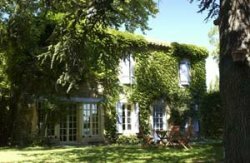 This amazing area has unrivalled rural countryside divided by the majestic Canal du Midi & the river Aude. The Domaine is within easy reach of bustling market towns, the mountains & the coast, with long beaches & harbour villages. The accommodation is set within four acres of peaceful gardens, with a large heated swimming pool & outdoor activities including bicycling, table tennis, trampoline, horse riding, walking & water sports. Courses are also run in cooking, painting, photography & wine tours. 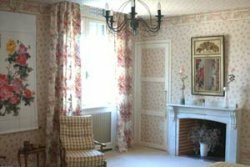 All the bedrooms have extremely comfortable, large beds & charming decor. Delicious gourmet food is served in our family restaurant. Dining is in the elegant dining room, by candlelight on the terrace or under the magnificent trees in the gardens. Surrounded by peace, spoil yourself and relax in luxury.